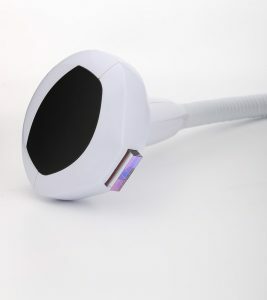 Lumecca, one of the InMode Laser’s modules, provides specialized treatment focusing on pigmented and vascular lesions. With the use of the revolutionary IPL (Intense Pulsed Light) system, this comfortable, noninvasive treatment can leave you with beautiful, clear skin in just one to three sessions. 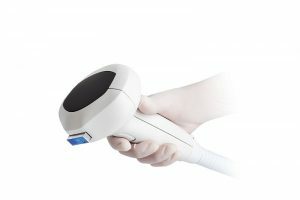 * Lumecca operates through photothermolysis, a precise technique that matches the wavelength of the laser light to the specific patch of skin being treated, heating and targeting it without damage to the surrounding tissue. Most patients notice significant improvement after just one treatment, while additional treatments improve the results even more. * Lumecca is safe and effective on all parts of the body, though it is commonly used on areas with the most sun exposure. Immediately before and after the treatment, it is important to avoid excessive sun exposure or tanning. During the treatment, you will experience a bright flash of light from the Lumecca laser, followed by redness and slight warming of the skin. The treated skin area eventually darkens and flakes off, revealing fresh, new skin beneath. * For vascular lesions, you will see the treated vein gradually revert to a normal, healthy vein. Schedule an appointment to discuss the benefits of Lumecca and how it can improve the complexion and vitality of your skin. We are thrilled to bring you the benefits of this revolutionary new technology.